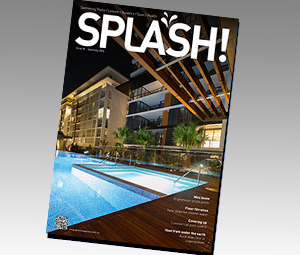 The April/May 2014 Edition of SPLASH! Recently, several new ingenious ways have been developed to disinfect swimming pools, and Australian companies are leading the way. Cal Stanley looks at AS1926-2010 Part 3 and considers technicians’ and tradies’ liability if they see something amiss with the swimming pool suction cover. Veda Dante investigates soft fall innovations as councils and commercial operators attempt to mitigate exposure to public liability. Hirondelle Private Hospital in Sydney’s northern suburbs is home to an innovative new hydrotherapy pool which makes use of technology not seen before in Australia. 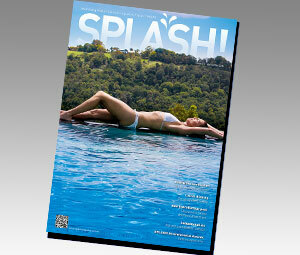 The industry has come together to help the kids at Port Phillip Specialist School. At AstralPool’s Australian manufacturing facility in Noble Park, a new way of organising and printing product labels is saving time and money. 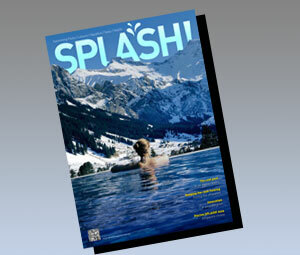 It’s on again – the only awards in the world dedicated to environment friendly products and projects in the swimming pool and spa industry. 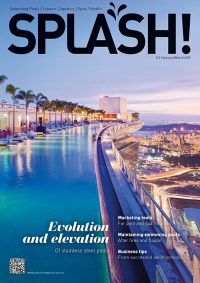 The finalists from four states have been announced for the first ever SPASA Australia Awards, to be presented in conjunction with SPLASH! on the Gold Coast in July.